sales manager for the country. 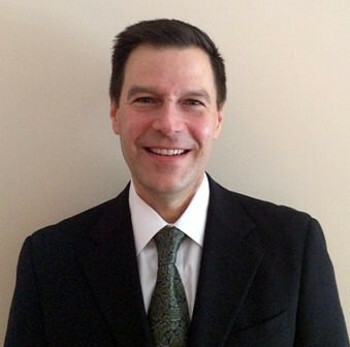 Paul Chandonnet, Sales Manager, Highcon North AmericaFollowing recent purchases of the Highcon Euclid by Anro Inc. and American Greetings Inc., Highcon has announced the appointment of Mr. Paul Chandonnet to the role of Sales Manager, Highcon North America, effective March 3rd, 2014. Chandonnet brings to the table more than 20 years' experience selling into the Graphic Arts, Printing & Packaging Industries and Highcon said he is a highly experienced sales manager. He has held several sales & business development leadership positions, most recently as Director of Business Development for Anro, a Philadelphia-based full-service print and marketing service provider and the first North American Highcon Euclid customer. Prior to that role, he held sales management positions at EFI, OneVision, Vio and Creo/Kodak. Chandonnet is a graduate of Rochester Institute of Technology with a degree in Printing Technology and Applied Computer Science. Commenting on his appointment, Chandonnet said: "Upon seeing the Euclid in operation within Anro and the immediate value-added opportunities it created for our customers, I knew I wanted to sell it! I am eager to join the Highcon team and work with companies across North America to help them embrace this unique digital finishing technology and the benefits it brings." Although only a few days in his new position,Chandonnet jumped straight in and joined Highcon management at the DSCOOP 9 annual meeting of independent global graphic arts business owners and technical professionals who use HP equipment and related solutions event in Orlando, Florida, March 6-8, booth 1004. 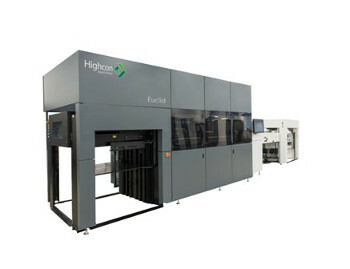 The slogan for the event this year, "Break the Mold" seemed to be the perfect theme to describe the benefits of the Highcon Euclid digital cutting and creasing machine, according to Highcon. It added that the machine offers printers and converters an innovative and flexible digital post-print solution with no need for a die. At the show, visitors were able to see a range of packaging and promotional items produced by Highcon and its customers.